After connecting with the people at WeWork I've decided to do a post on creative workspaces. 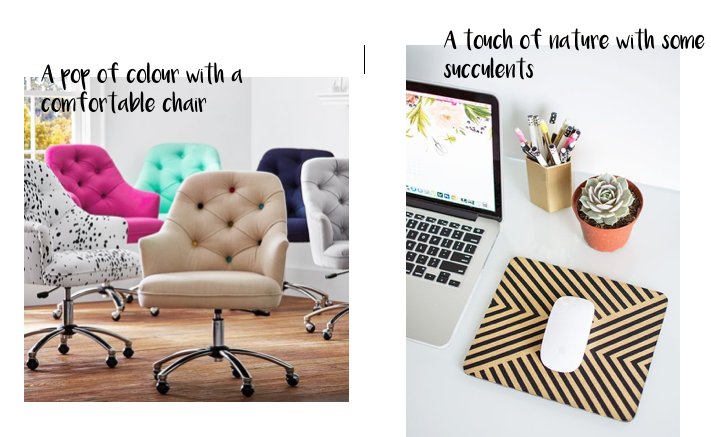 Seeing as my workspace is either my sofa or actually anywhere in the house where I can get comfy, I decided to post about what my Ideal Workspace would look like. A little bit about WeWork. When they start WeWork in 2010, they wanted to build more than beautiful shared office spaces. They wanted to build a community. A place you join as an individual, 'me', but where you become part of a greater 'we'. A place where redefining success measured by personal fulfilment, not just the bottom line. Community is their catalyst. (where can i sign up?!) They are based in NYC with locations opening all over the world and they've just launched new office space in London, hoping to expand throughout the UK and the rest of Europe (Aberdeen?!) If you'd like to find out more about WeWork and what they do then click here. To create a world where people work to make a life, not just a living. So my Ideal Workspace would be an open room with white walls and huge windows so I could daydream while looking at the clouds and a cheeky bit of people watching. I am bit of a neat freak so I would have my organising on point - probably with things being colour coded and sectioned off. 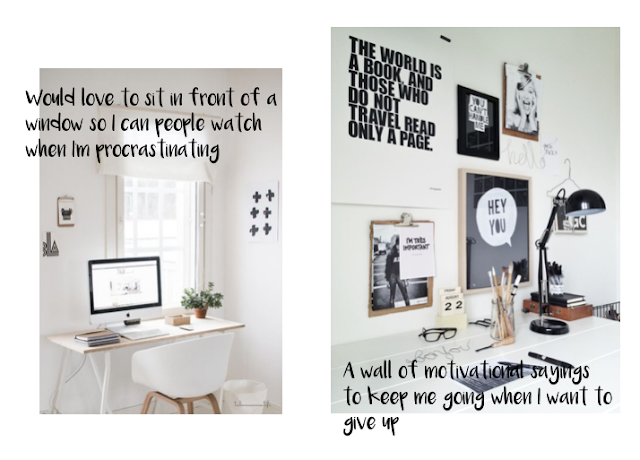 I'd also love a wall of inspirational saying and quotes. I know so many people have this and I'm jealous over it, I just think it really adds a personal touch to your space. As a blogger I have found myself sitting on my sofa for hours on end and when you do eventually get up you're all stiff and sore, so I would get a really comfortable chair with wheels too so I could spin round (like a child) and move around easily. I'd also love it to be a bright colour like a Magenta or Mint green that would really add a pop of colour! I'm a firm believer of the saying, 'A house is not a home without a plant' and I would incorporate that into my workspace with some cute little succulents and cacti (plus let's be honest, they're very easy to keep alive). Now the desk itself, a big wooden desk would be perfect I think. Again it would be bringing in the nature aspects but it would also be very durable I think. Another important thing would be lighting! 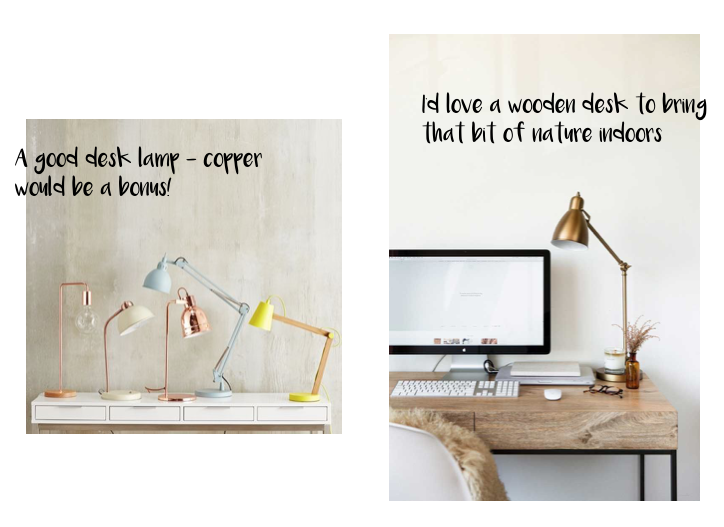 Now I live in the City of Aberdeen which is in the North East of Scotland and let me just say it's a very grey and dull city (weather wise) so as a blogger, natural light is very important but if there isn't any, a desk lamp would be beneficial and like I've said - copper would be a bonus! So that is my Ideal Workspace! I hope you enjoyed this post and don't forget to go over and have a look at WeWork and everything that they do. Also a big thank you to the people over at WeWork for asking me to do this, it's much appreciated. Do you have your ideal workspace? If not, what would you have in yours? I'm in the same situation: At home I work either from the kitchen table or the sofa. I think I really need a proper office space in my home next time I move - or at least somewhere with a desk. I bet having things set up just right would do wonders for productivity. Things that have been making me Happy!